terms such as torpor, brumation, estivation, diapause, endotherms vs. ectotherms. Plus, it covers where animals spend the winter and the dangers of hibernation. 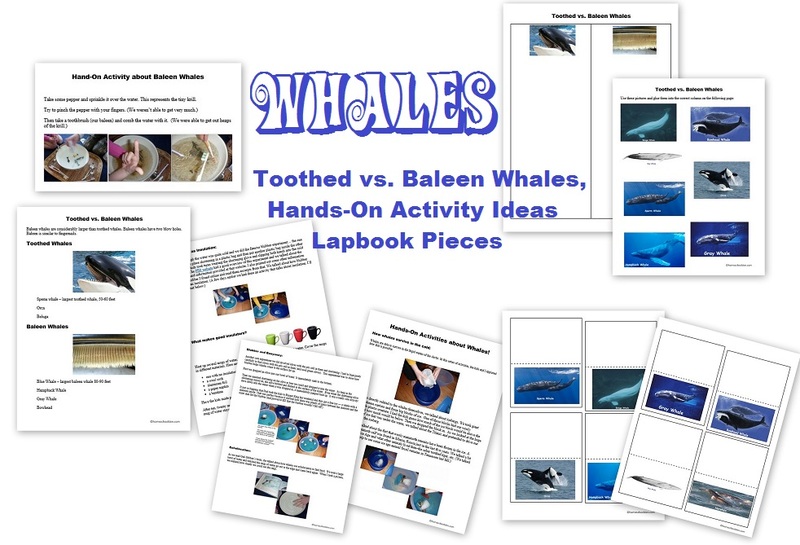 It includes various activities such as notebook pages, interactive notebook/lapbook pieces, matching and tracing pages. Note: This unit has been added to the Winter Packet!! If you purchased the Winter Packet or Big Animal Bundle earlier, be sure to check your PayPal email address for the update from SendOwl, the delivery service I use! 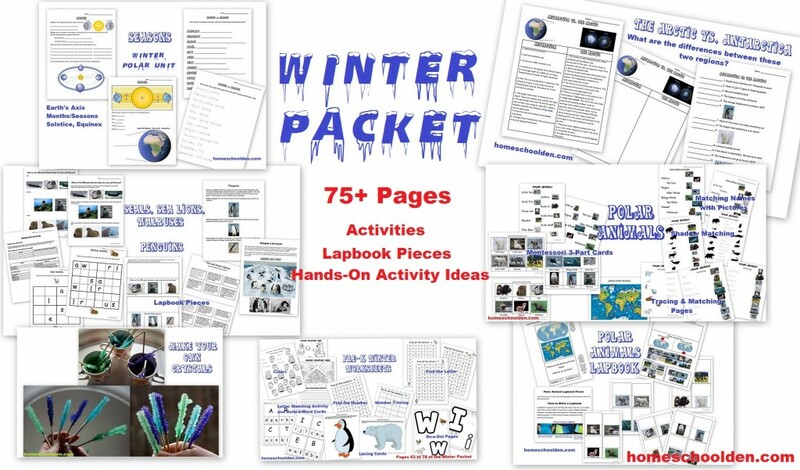 The Winter Packet is now 100+ pages! 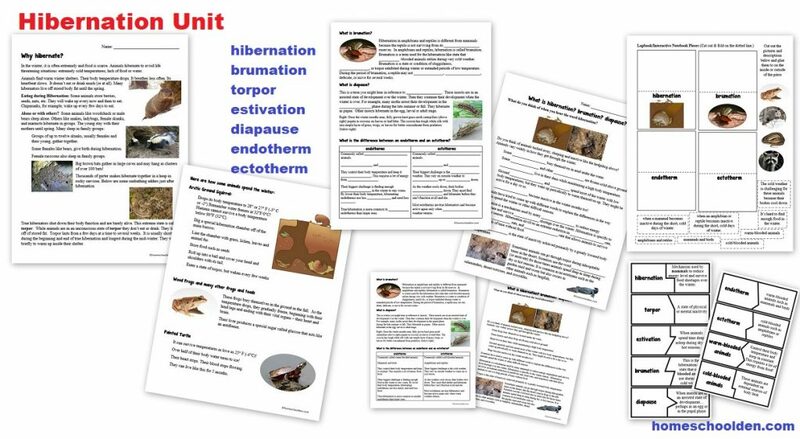 First, let me explain what this new hibernation unit covers. Then I will talk about what else is in the Winter Packet. Why do animals hibernate? In the winter, it is often extremely and food is scarce. 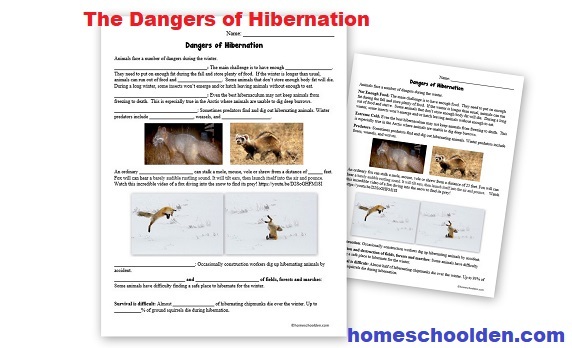 Animals hibernate to avoid life threatening situations: extremely cold temperatures; lack of food or water. Animals find warm winter shelters. Their body temperature drops. They breathe less often. Their heartbeats slow. They don’t eat or drink much (or at all). Many hibernators live off stored body fat until the spring. Other animals, must find shelter from the cold temperatures. 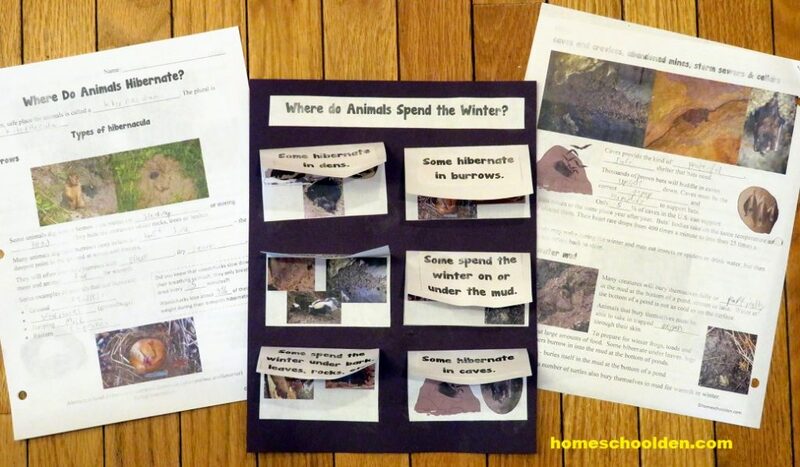 Animals have a variety of strategies they use to get through the winter. You’ll find out more in our Hibernation Packet! 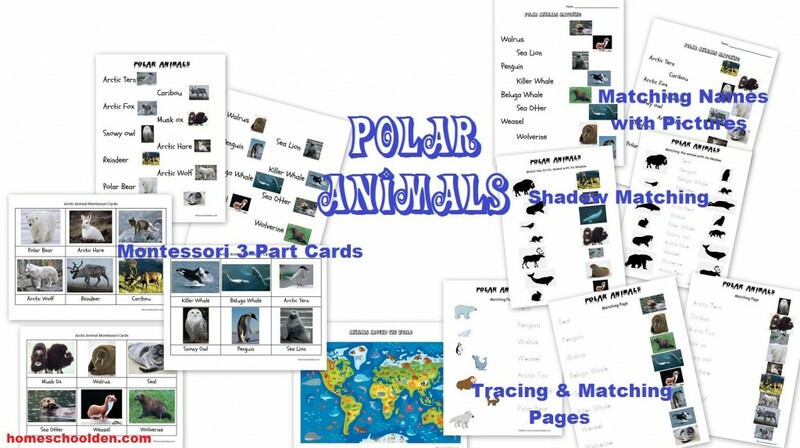 These pages and activities go over many of the scientific terms developed to explain animal behavior. Animals find a safe, protected place to spend the winter. Some animals may create burrows, others spend the winter in dens. Some animals seek protection under dirt, leaves and rocks, others will find shelter in caves or on under the mud under water. 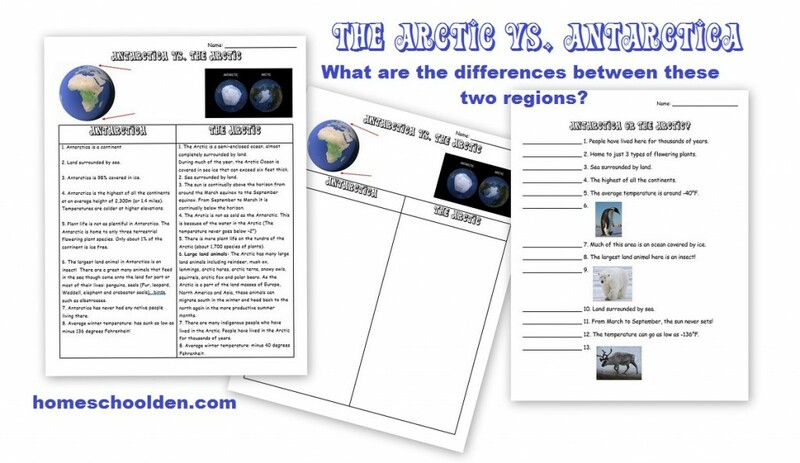 This unit has a number of notebook pages, an interactive notebook activity, matching page, and tracing page. There are student pages (with fill in the blanks), with answer pages provided. Since some families just read these aloud together the answers are not highlighted. 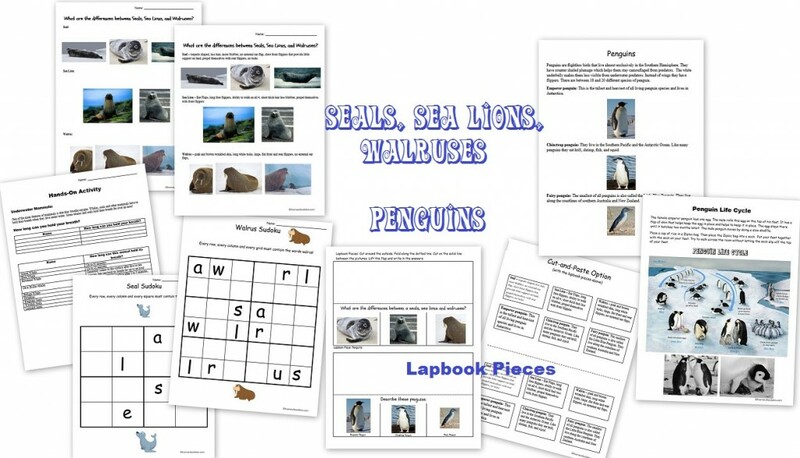 There are some pages that are more suitable for younger students. 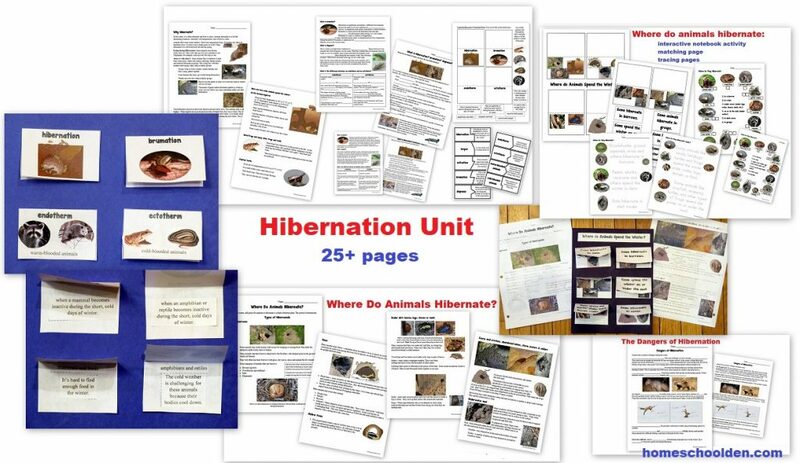 For example, you might want to go over the pages about hibernation, brumation & diapause with older students, but have your younger kids just cover the page on hibernation and brumation and/or do the interactive notebook activity provided. 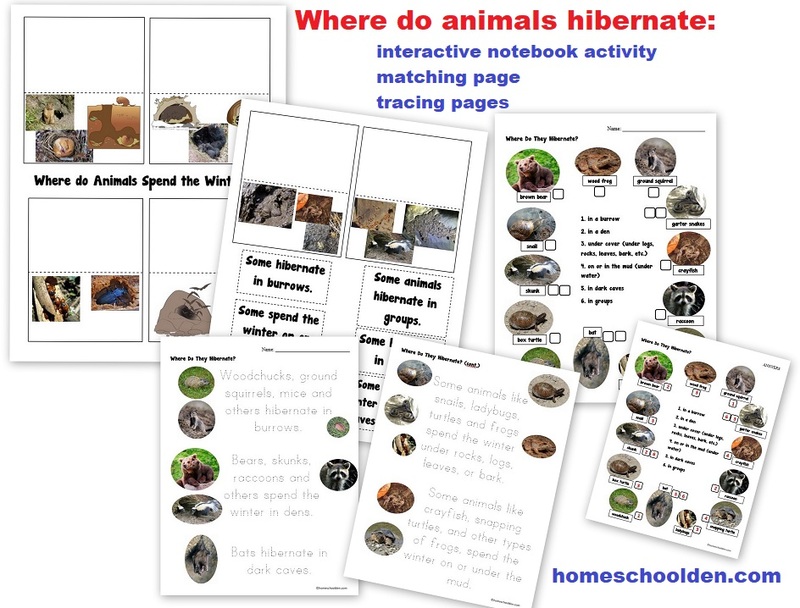 There is also a tracing pages that explain where animals hibernate. 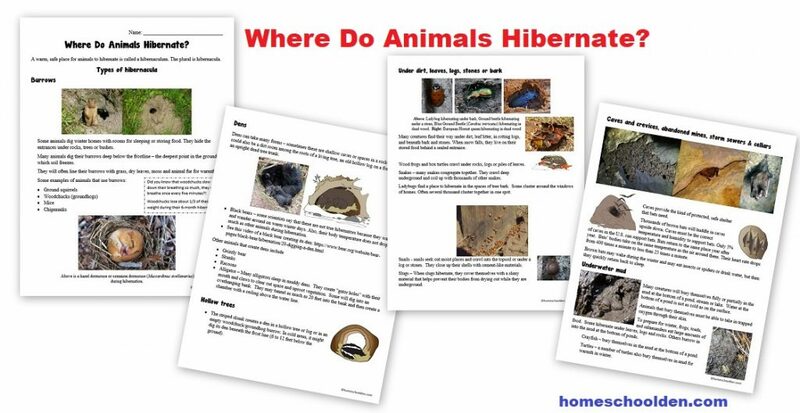 The Dangers of Hibernation: The sad fact is, many of the animals that hibernate don’t make it through the winter. 🙁 At the bottom of this post, I’ll link to an amazing video of a fox hunting a field mouse deep beneath the snow! I decided that it made most sense to add these pages to the Winter Packet. 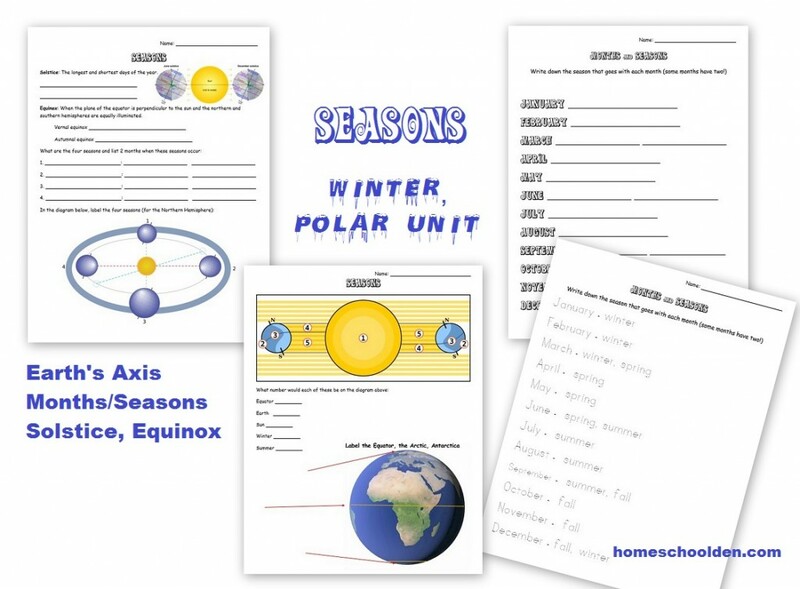 I am keeping the price the same, but just am adding these resources to the Winter Packet. What else is included in the Winter Packet? I will include photos of these below! 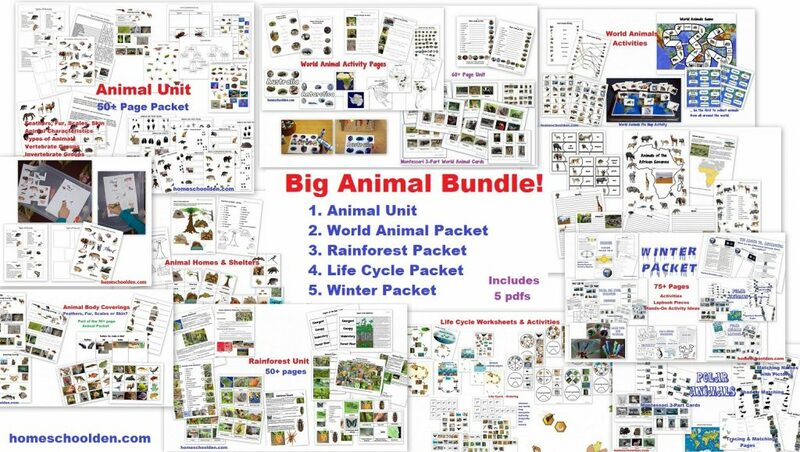 Again, our Winter Packet & Hibernation Unit is included in the Big Animal BUNDLE. See details here. 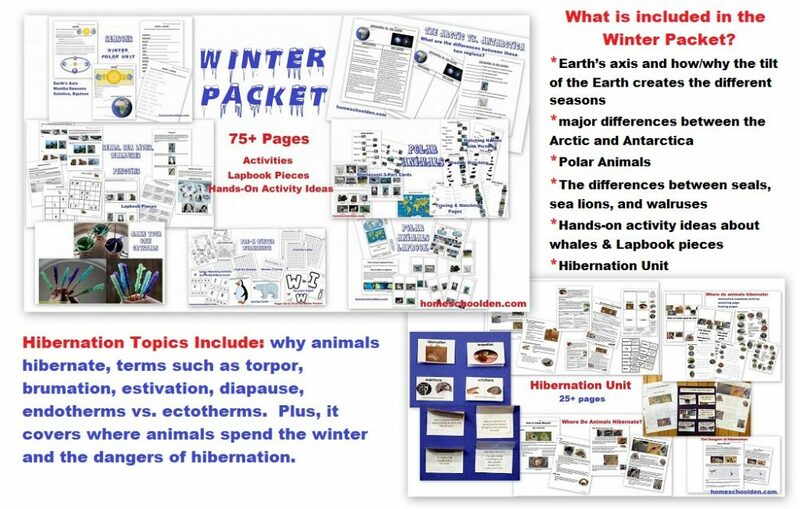 Our Winter Packet & Hibernation Unit is available for $4.00. I am going to keep the price the same for the time being! 🙂 Eventually, the price will go up to $4.99. Once you pay for this packet, you will immediately receive a link to download this file (which will open in a browser window). You will also receive an email from Sendowl (the service I use) to your PayPal email address which will have a link you can click on to download the Winter Packet. It may take a few moments to arrive. 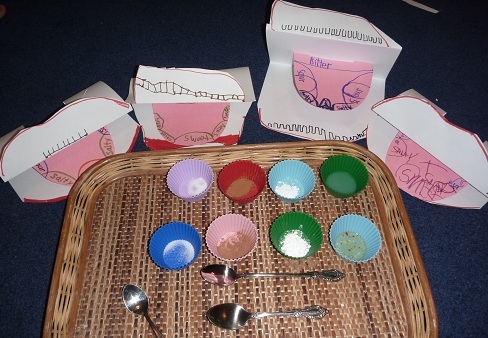 Of course, if you have any questions or issues just email me at — liesl at homeschoolden dot com. You can also reach me by using the contact form on the blog or by replying to the email from SendOwl. 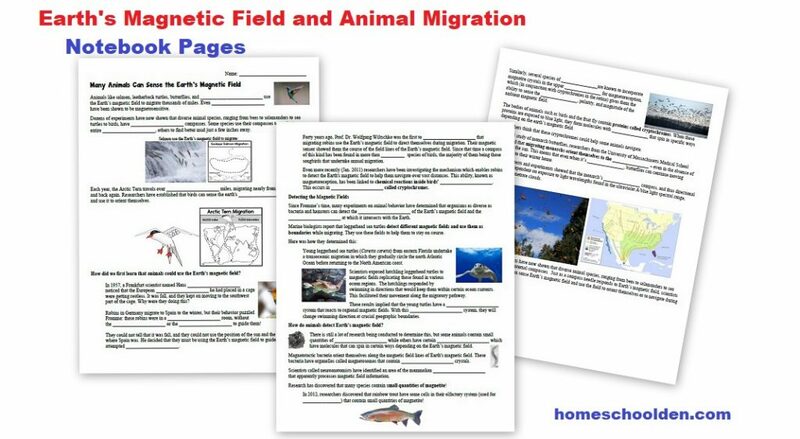 By the way, this packet does not talk about animal migration at all. We covered this topic earlier this semester when we studied Magnets and the Magnetosphere. We learned about some of the experiments scientists have done to uncover how animals are able to detect the magnetic field. It ranges from animals actually having magnetite inside them, to various proteins that change in the presence of light and create magnetic cells. This is some cutting-edge science at the moment, so there’s no doubt that more will be uncovered in the coming years about how animals use magnetism to migrate thousands of miles! 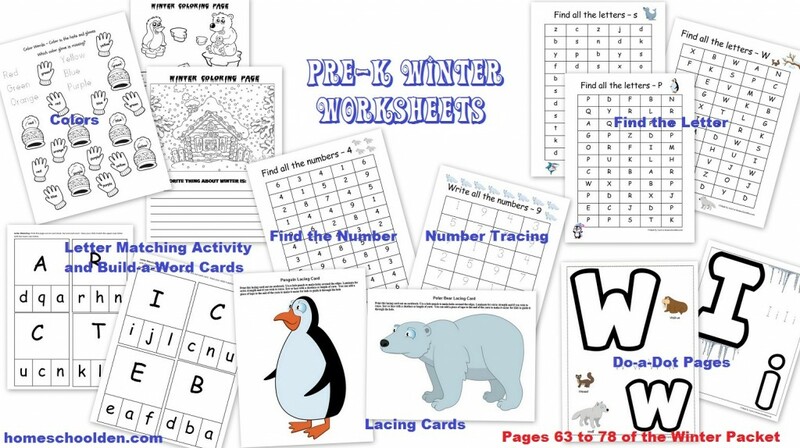 Previous story New Holiday Subtraction Packet Added to the Math Bundle!